During my recent stint in Quebec, Nutella and I became the best of friends. I hesitate to tell you how many jars I consumed, partly because it’s an expensive habit, and also because it’s just plain embarrassing. Let’s just say that there were numerous occasions when friends observed an open jar of Nutella with a spoon sitting in it on my desk. I’m going to blame this one on dorm life. 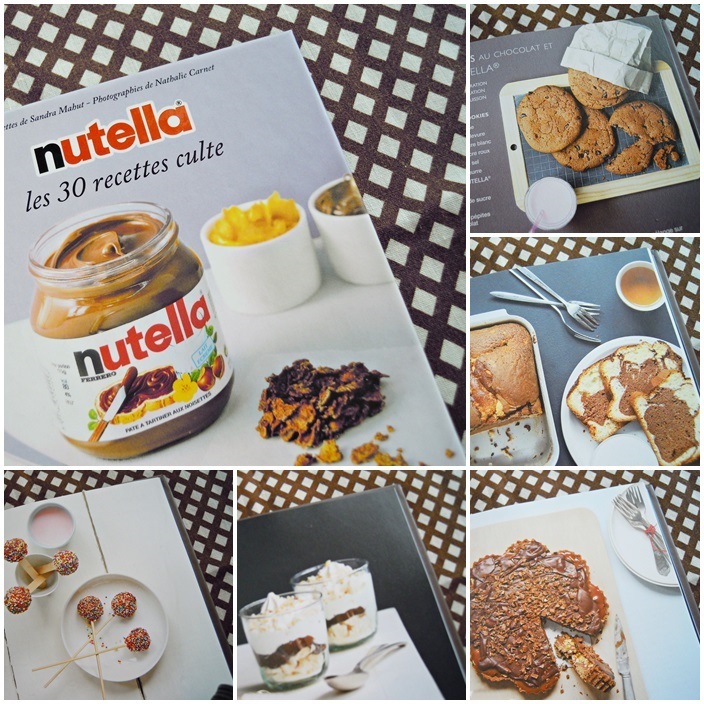 Since Nutella has such a presence in Quebec, it would’t have been right leaving without some recipes so a bought this cute little book: Nutella-les 30 recettes culte written by Sandra Mahut. It’s an awesome little recipe book with everything from lava cake to lollipops. It is decadent and creamy; just try to eat only one piece, I dare you! 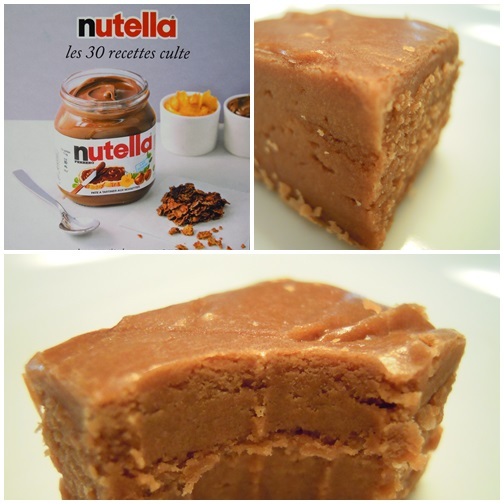 In a small bowl, combine Nutella and butter. Set aside. In a medium-sized saucepan, melt the sugar in the milk until dissolved; add the marshmallows and stir until completely melted. Keep on low heat for 5-6 minutes. 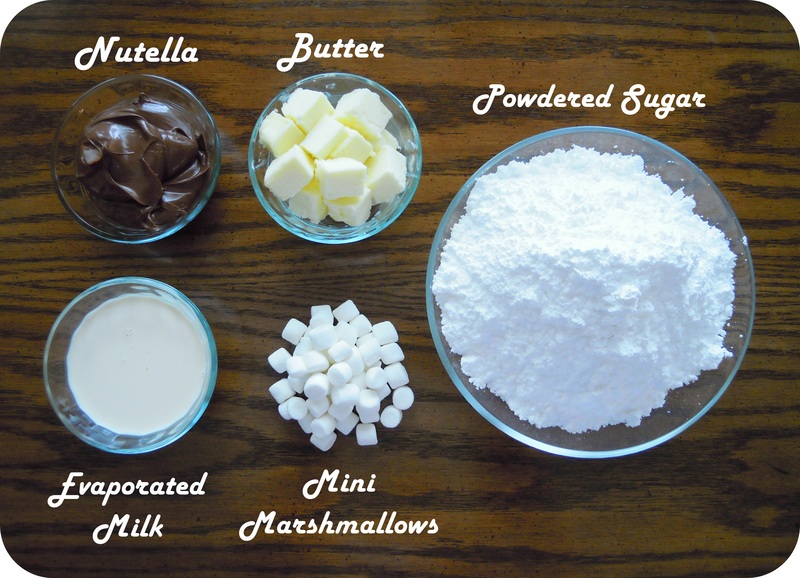 Add Nutella & butter mixture, mixing gently until completely combined with marshmallow mixture. Pour mixture into an 8×8 inch pan lined with parchment paper. Refrigerate for a minimum of 2 hours, then cut, serve, and enjoy! this sounds so deadly for my health, but so heavenly for my tastebuds!